Here’s the situation: Friday afternoon around 4:30. I’m packing up to head home and my direct line rings – a potential customer with a lot of questions. It is not unusual for me to speak to customers, and my direct number is not secret (extension 201), but it’s not often that our customer service people are bypassed. It turns out that a friend of hers purchased a Needak Rebounder from us last year and passed my number along after she spoke to me. Of course, I welcome the opportunity to answer questions and referrals are always appreciated. This customer asked several tough questions about the rebounders we carry, said something to the effect of: “My husband thinks I should get the Reboundair. I just spoke with them, and I’m leaning their way. Sell me on the Needak.” I thought that the highpoints of this 30 minute conversation may be useful to our blog readers and to anyone considering a high-quality rebounder. First off, Reboundair is NOT A MANUFACTURING COMPANY! They are made somewhere in Asia. Most likely by a contract manufacturer that makes a variety of products. Needak Manufacturing is a… MANUFACTURING COMPANY. They make one thing, rebounders. They do this in the United States (Nebraska) from components that are made in the USA. Both Needak and Reboundair: 30 day satisfaction Guarantee. Sounds okay, but they charge a 15% restocking fee! Reboundair Quarterfold: Plastic frame. That’s right, plastic frame. Plastic hinges! Click here for a picture of a cracked frame. Click here for another. Standard Reboundair: Hinge design is sub-standard. To save on cost, it is bolted to the frame rather than welded. Needak: I don’t remember having a quality issue with a Needak. It is a time-proven design and has set the standard for quality for more than 20 years. The customer on the phone mentioned that she had heard of problems with the Needak springcover (tears). 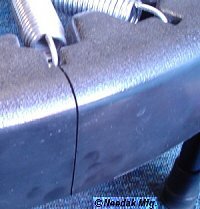 There is sometimes an issue with a folding rebounder when the cover becomes caught on the hinge. It is rare. 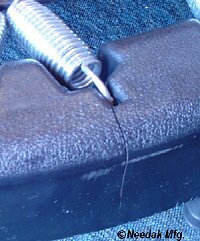 The Reboundair does not have a spring cover on the quarter fold and the half-fold uses a vinyl springcover, subject to cracking. 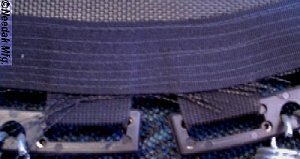 Take a look at the edge of a Needak mat (click here). Clean edge without hanging threads. The Permatron is properly prepared prior to sewing the attachment points. Now, take a look at a ReboundAir mat. Whoever makes their mats does not properly prepare the permatron. Mat separation has been an issue. Click to see. After our fairly long conversation, she went with the Needak. It will ship on Monday, and she should have in on Wednesday. I’m hoping she drops me a note as I am sure she will love the unit. 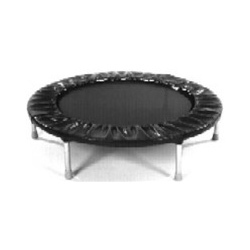 Do you have any experience with the Needak or ReboundAir rebounders? Please share by leaving a comment below. Wow thanks for this post. Very helpful for those people who have no idea on rebounder yet. Very informative. I own a reboundair quarter fold rebounder. When I purchased this I weighed 338 lbs. I used this machine a lot. In two years I had to have the mat replaced, and probably 15 to 20 springs. The frame held up very well but the rebounder is noisy. The spring design could used improvement. I eventually bought a cellerciser and absolutley love it. I have been jumping on some type of rebounder since the late ’80’s. I have been deciding what brand to buy on my next rebounder since I had to move and gave away my beloved 1/2 fold Needak. Today I tried to replace a spring on a 1/2 fold Reboundair I borrowed from a friend. Her rebounder has been lightly used and is always kept in the case when not in use. First, I would have to wait a month for Reboundair to send me just one spring. So, I ordered the spring from Needak as the same size and shaped springs are used on both rebounders. I got Needak’s spring in 3 days at a nominal fee. I figure that beats the free replacement replacement of springs Reboundair gives if I had to wait a month to place something. Replacing the spring on the Reboundair was a tedious job, took forever, even with the help of a man. The springs were super easy and fast to replace on Needak. Next, I saw lots of plastic breaking off where the springs attach on the Rebounair! My old Needak was metal so of course did not crack. Finally, I jump. The legs of the Reboundair jiggled when I jumped! The legs are stable on Needaks. So far, Needak is totally winning out. Plus, Needak is quite a bit cheaper! 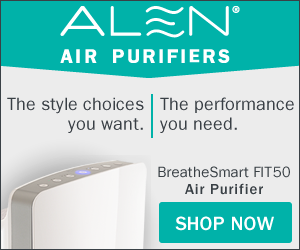 WHY are folks going with Reboundair? Would someone like to tell me?